Spencer has been consistently named to the New York Super Lawyers list, a Thomson Reuters lawyer rating service, for securities and capital markets for more than the last ten years. 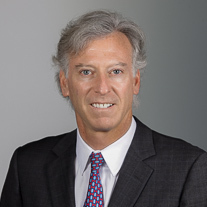 Spencer G. Feldman is a corporate and securities lawyer widely known for his experience in public securities offerings and media and technology transactions. Spencer has more than 30 years of experience practicing corporate and securities law and concentrates his practice in the areas of initial public offerings, follow-on offerings, shelf takedowns, confidentially marketed offerings, registered directs, PIPEs and other private financings, rights offerings, reverse public offerings, and mergers & acquisitions with public companies, with an emphasis on representing computer, Internet, media, life sciences and other technology-driven companies, and the banks, financial institutions and other institutional investors that provide capital to these companies. More recently, he has been involved in several Regulation A+ public offerings, Rule 506(c) publicly-solicited placements and Section 4(a)(6) crowdfunding transactions. Spencer serves as counsel to a number of emerging technology business ventures, including companies involved in digital advertising, social media sponsorships, online video distribution, cloud computing, Internet-based delinquent bank debt resolution, point-of-sale computer manufacturing, facial animation software, and biopharmaceutical vaccines and diagnostics. Spencer was a member of the 2017 Capital Markets Law360 editorial advisory board, and was also a 2016 member. He is a member of the editorial board of the Journal of Commercial Biotechnology, a leading international publication for bioscience business professionals. He participated as a panelist discussing “Registered Offerings – Post JOBS Act Implementation" and served as the moderator of the Smaller Reporting Companies Breakout Group at the 2015 SEC Government – Business Forum on Small Business Capital Formation, U.S. Securities and Exchange Commission, Washington, D.C., November 19, 2015. He also participated on the panel, "Uplisting to an Exchange: Criteria and Strategies for Emerging Growth Companies," at The Growth Capital Summit 2015: Legal and Regulatory Update on Emerging Growth Company Finance, The National Press Club, Washington, D.C., November 18, 2015. Prior to joining Olshan, Spencer was a shareholder at Greenberg Traurig, LLP in its corporate & securities practice. Represented Legacy Housing Corporation in the initial public offering of an aggregate of 4,000,000 shares of its common stock at a public offering price of $12.00 per share. Legacy Housing is the fourth largest producer of manufactured homes in the United States and a recognized leader and innovator in the manufactured housing industry. Shares of the company are trading on The NASDAQ Global Select Market under the symbol “LEGH.” The offering was made through an underwriting group led by B. Riley FBR, Inc., Oak Ridge Financial and National Securities Corporation. Represented Cemtrex, Inc. (NasdaqCM: CETX), a global diversified industrial company, in its acquisition of 7,284,824 shares of common stock and a warrant to purchase an additional 1,500,000 shares of common stock of Vicon Industries, Inc. (NYSE American: VII), a producer of video management systems for use in security, surveillance, safety and communication applications, from former Vicon Industries shareholder NIL Funding Corporation, pursuant to the terms of a Securities Purchase Agreement. Cemtrex's purchase of the Vicon Industries common stock and warrant resulted in its beneficial ownership of approximately 46% of the outstanding shares of common stock of Vicon Industries. Cemtrex purchased the shares of common stock and warrant of Vicon Industries in exchange for 1,012,625 shares of Cemtrex common stock. Under the Securities Purchase Agreement, Cemtrex agreed to file a registration statement with the Securities and Exchanges Commission and to use its commercially reasonable efforts to cause such registration statement to become effective with respect to the resale of the Cemtrex common stock. For additional information on the terms of the transaction, reference is made to the Securities Purchase Agreement. Following the closing of the transaction, Saagar Govil, Cemtrex's Chairman and Chief Executive Officer, and Aron Govil, Cemtrex's Executive Director, joined the Vicon Industries Board of Directors and Saagar Govil assumed the position of Chief Executive Officer of Vicon Industries. Represented the National Association of Professional Women (NAPW), one of the largest, most-recognized networking organizations of professional women in the country, in its merger with the Professional Diversity Network, Inc. (NASDAQ: IPDN), a Chicago-based operator of online professional networking communities dedicated to serving diverse professionals and employers seeking to hire diverse talent. Pursuant to the parties’ Merger Agreement entered into in July 2014, and then approved by PDN’s stockholders, NAPW’s sole shareholder, Matthew B. Proman, and senior executive officers, including Star Jones, NAPW’s President and National Spokeswoman, received a total of 6,309,845 shares of PDN common stock at closing, equal to 50% of the PDN’s outstanding shares, and Mr. Proman also received other consideration including cash and a seller note. At closing, the combined companies have a market capitalization of $70.0 million. Following the merger, Matthew B. Proman and Star Jones will join PDN’s Board of Directors, along with NAPW’s director nominees Randi Zuckerberg and Donna Brazile, and Ms. Jones will become PDN’s President and Mr. Proman will become its Executive Vice President and Chief Operating Officer. Represented Maxim Group LLC, a leading investment banking firm for middle-market and emerging growth public companies, as the sole book running manager and lead underwriter of the confidentially marketed public offering of shares of common stock and warrants for Quest Resource Holding Corporation (NASDAQ: QRHC), a Frisco, Texas based provider of comprehensive recycling and resource management solution and of social media and online data platforms for consumers and businesses concerning proper waste disposal management, valued at $18.0 million. The net proceeds of the offering are being used by Quest Resource to retire debt and for general corporate purposes. The shares of common stock and warrants in the offering were issued pursuant to Quest Resource’s shelf registration statement on Form S-3 and its prospectus supplement filed with the SEC. Maxim Group has a 45-day over-allotment option to purchase $1.4 million of additional shares and warrants. Educational session, "Rights Offerings 2017: Creating Financing and Liquidity Opportunities"
Moderator, "Registered Subscription Rights Offerings: The Most Democratic Capital Raising Transaction"
Panelist, "Registered Offerings – Post JOBS Act Implementation"
2015 SEC Government – Business Forum on Small Business Capital Formation, U.S. Securities and Exchange Commission, Washington, D.C.
Moderator, "Smaller Reporting Companies Breakout Group"
The Growth Capital Summit 2015: Legal and Regulatory Update on Emerging Growth Company Finance, The National Press Club, Washington, D.C.
Moderator, "Securities Regulation of Smaller Public Companies Breakout Group"
2013 SEC Government-Business Forum on Small Business Capital Formation, U.S. Securities and Exchange Commission, Washington D.C.
2012 SEC Government-Business Forum on Small Business Capital Formation, U.S. Securities and Exchange Commission, Washington, D.C. Faculty chair, One Hour Briefing: "Reverse Mergers: New Listing Rules, Same Concerns"
Speaker, "Reverse Public Offering Trends 2007," and panelist, "Post-Public Considerations"
Speaker, "Legal Considerations and Regulatory Requirements"
Panelist, "Legal Considerations and Regulatory Requirements"
Panelist, "Now That You Have Funding, What Are Your New Responsibilities?" Panelist, "Structuring and Documenting M&A Transactions: Legal Considerations"
"Expert Analysis: A Balanced Proposal for Equity-Based Crowdfunding"
"SEC Lifts Ban on General Solicitation in Certain Private Securities Transactions; Disqualifies 'Bad Actors' from Rule 506 Offerings"
"SEC Clarifies Position on Unregistered Broker-Dealer Sponsors of Internet Funding Networks"
"Using a Glossary to Enhance the Prospectus"
"Preferred Stock: A Privileged If Peculiar Class"
"Determining Smaller Reporting Company Status and Understanding Key Differences in Its Disclosure and Reporting Requirements"
"Reshaping The Future For Mergers"
"The Re-IPO: An Emerging Strategy for Greater Growth and Enhanced Capital Market Access,"
"Back to the Future: The Re-IPO Phenomenon and Five Steps for Greater Growth and Capital Markets Access"
"Preferred Stock - A Privileged, If Peculiar, Class"
"Catching Up with Late Periodic Reports: The Multi-year Comprehensive Form 10-K"
"Fighting in the Face of Distress: Undervalued and Cash-Strapped, a Global Industry Wrestles with Its Future"
"SEC Proposes Important Amendments to Help Smaller Public Companies Raise Capital"
"SEC Proposals Will Help Small Companies"
"Issuance of Securities in Bankruptcy Acquisitions"
Bankruptcy Business Acquisitions, American Bankruptcy Institute, 2nd ed. "Case Study: Alternative Route to Going Public"
Building Biotechnology: Starting, Managing and Understanding Biotechnology Companies by Yali Friedman. "The Board's Technology Committee: The Next Wave in Corporate Governance"
"Batteries Not Included - The Ascension of the Board-Level Technology Committee"
"International E-Commerce: Taming the Global Jungle Out There"
"Selling into the Void: International E-Commerce Top Ten List"
"SEC-Imposed Disclosure of Computer Security Readiness is Unnecessary"
"Alternative Routes to Going Public: The IPO/Reverse Merger Transaction"
"Y2K Revisited - There's a better approach to cyber-security than new disclosure requirements: Treat the issue as a risk factor in prospectuses and reports where appropriate"
"Is the One in the Hand Really Worth Two in the Office? That Pocket-Sized Device Could be a Security Nightmare"